This diving helmet was used by deep sea divers in the early twentieth century. Helmets like these were used to recover rich beds of pearl shell in the Torres Strait and other parts of the tropical Queensland coast. 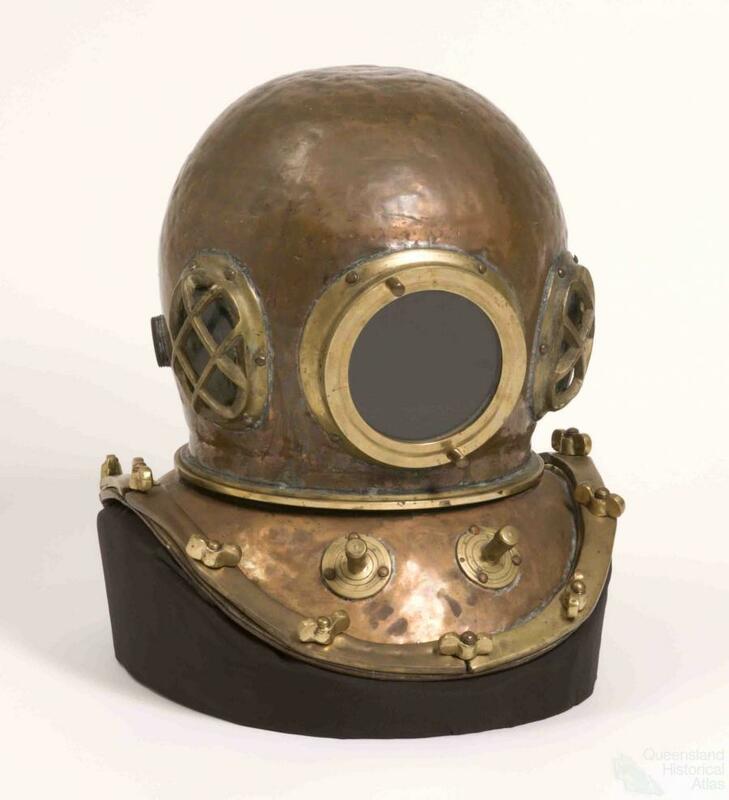 The work was dangerous and many divers were Japanese, Torres Strait Islander and Aboriginal. 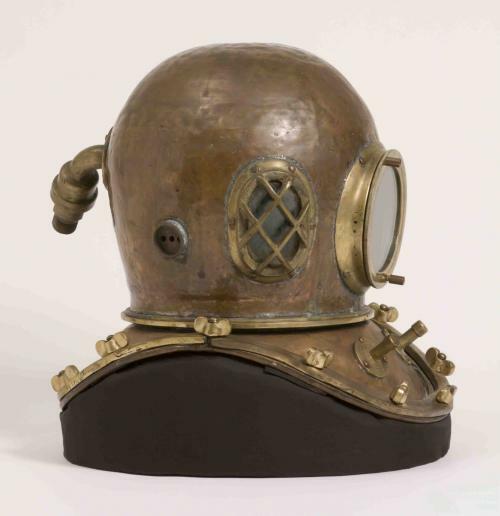 The dive helmet was part of the equipment that enabled divers to reach deeper levels than free diving and thus exploit more of the resource as shallower supplies became scarce.